Glooko was kind enough to give me a cable to review, no string attached as it were. I’lI get to that review in the upcoming weeks because this is more an editorial Grail Quest than review. It is also a shift in the center of the diabetes data management universe. Glooko is a cable that connects a meter to an iPhone. I think data in your smart phone instead of your computer is a move closer to where folks with diabetes live their lives. You maybe thinking, where have I seen this before? Probably the presentation of introducing the iPhone 3 back in 2009. Apple had J&J dummy up an cable and and app for the big unveiling. It never saw the light of day - well maybe until now. Glooko is a cable that can connect meters, from a variety of manufacturers, to an iPhone, iPod, or iPad. The application does the translation of the data from Bayer, Abbott or OneTouch’s data format and fill in the log book. That mix of brands is part of the path to the grail. 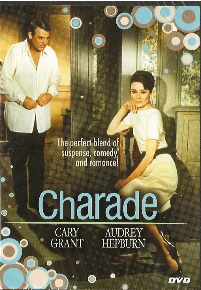 To me it is significant that Glooko plays the roll of Audrey Hepburn and translates data from different meters into one log. You can email that log right out of the device. That is not the only step towards the chalice. I see shifting from computer based applications to a mobile device as moving data collection, and hopefully use, closer to people with diabetes' lives. A more mobile logbook and translations of data are steps towards the grail even if they are not the goblet itself. The logbook is Glooko first step. They say they want to make better tools for diabetes management. Time will tell what that means. More meters and more mobile devices showing up at the UN, probably. More functionality than a basic log book, maybe - but that is an FDA regulation issue and why we all should care about mobile apps. I would love to see devices other than meters talk to the app, not that I am directly lobbying Glooko or anything. OK maybe I am. Tracking for reporting all the data users create in their daily diabetes care without creating a lot more sets of family tasks. We have diabetes – that has enough tasks as it is. All the BG data, including CGM info. All the basal data. All the carbs entered into the pump to calculate all the bolus data. Any user defined flags on those carbs like pizza. User defined variables that could be things like heavy exercise, set pulled off, ketones, freaky weather, stress, menstrual cycle, weekday, weekend and what ever else people dream up. The key here is being user definable. Then we need reporting ability and the ability to include or exclude data based on those use defined fields. Build reports that average the midnight to 6 am BD data from meters or CGM for nights following a day with hard exercise. There you have info for tailoring basals for a post activity dip in BG. How about sorting the data for a school girl’s weekdays, excluding days with PE class to build a normal school day profile and one only for PE days? To that I would add that grail should ultimately connect to devices wirelessly and store information in a cloud accessible with any modern browser. Which is fairly sophisticated and outside the mindset of the FDA. - All of which is what makes it a Grail. Smallest Insulin Pump System and First-Ever with a Touch ScreenSummary: Tandem Diabetes Care, Inc. today announced that the U.S. Food and Drug Administration has granted the Company clearance to market the t:slim™ Insulin Delivery System. SAN DIEGO, November 16, 2011—TandemDiabetes Care, Inc. today announced that the U.S. Food and Drug Administration (FDA) has granted the Company clearance to market the t:slim™ Insulin Delivery System (t:slim). This new full-featured pump is the first-ever with a color touch screen, and is the smallest insulin pump system currently available. 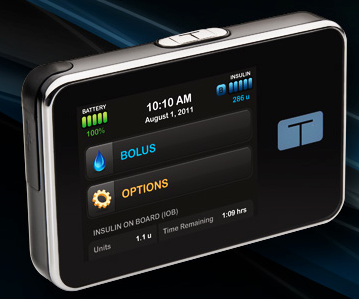 The t:slim is one of the first insulin pumps to be cleared under the FDA’s new Infusion Pump Improvement Initiative. The search for a cure, or even a less-complicated treatment, is still on a long road to its goal. Ever since scientists started talking about the medical potential of embryonic stem cells, curing Type 1 diabetes has been one of the dearest dreams. When researchers announced in 1998 that they had derived stem cells from human embryos, their landmark report flagged juvenile-onset diabetes as a disease that might be treated by stem cell transplants. In the run-up to the 2004 vote on California's Proposition 71, diabetes was repeatedly mentioned as a target by scientists campaigning to form a state-backed stem cell agency. Spoiler alert: The last line of this article is the the most telling and why better treatments matter as well as cure research: "Next century, when you look back at it, two decades won't seem like much. But for those affected right now, every month is too long." MASSDEVICE ON CALL — Minnesota legislators penned a letter to FDA head Margaret Hamburg pushing for a faster and simpler review process for medical devices.Sens. Amy Klobuchar (D) and Al Franken (D) were joined by Reps. Erik Paulsen (R), Betty McCollumn (D), John Kline (R) and Michelle Bachman (R) in raising concerns over "increased review times, inconsistent expectations, and poor communication from the FDA." MINNEAPOLIS – Nov. 9, 2011 – Medtronic, Inc. (NYSE: MDT) today announced a new United States investigational device exemption study to evaluate the accuracy of six-day use in adults with diabetes of its Enlite™ Sensor, the company’s latest innovation in continuous glucose monitoring (CGM) technology for people with diabetes. The study will evaluate Enlite, a glucose sensor for CGM designed to offer improved hypoglycemic detection and comfort compared to current CGM sensors. CGM provides a more complete picture of glucose control because it can reveal high and low glucose levels that periodic fingerstick testing might miss. The first two patients in the study were enrolled at Rainier Clinical Research Center in Seattle, Wash., and at AMCR Institute in San Diego, Calif., by the sites’ principal investigators (PI), Ronald Brazg, M.D., and Timothy Bailey, M.D., respectively. Another diabetes dad sent an email asking about the JDRF New York Times Ad. Specifically if anyone knew the source of the 1:20 number it cites. I replied that I had traded emails with Aaron Kowalski and Jeffery Brewer at JDRF about the ad. Of the people I know in the diabetes community, and I know a lot of y'all there is nobody among us who is more passionate about with people with T1D living long, happy, well managed lives than Aaron and Jeffery, certainly including my craziness. Hypoglycemia can kill. Should we be less motivated to address hypos if the life time mortality risk is 1:40, 1:60 1:100? Shouldn't be just be motivated to make less of a risk, until it is not a factor at all? All of which I have printed and am in the process of re-re-reading and formulating thoughts on. Here is a readers digest of where I am so far. The ad is not for the diabetes community. Period. In the diabetes community we know that insulin has risk and that those risk involve the possibility of death from excessive insulin. I often hear those who live with diabetes and "Get It" wish that the general population understood type 1 better. The non-diabetes world doesn't have a frame of reference for diabetes management risks and this ad puts that into stark terms. Mark Twain has a famous comments on numbers, "Figures often beguile me," he wrote, "particularly when I have the arranging of them myself; in which case the remark attributed to Disraeli would often apply with justice and force: 'There are three kinds of lies: lies, damned lies, and statistics.'" There is little reason to think Disraeli actually said that, but there is history, humor and Mark Twain. Think: The Daily Show. The effect of the ad statistic on some people with, and more significantly maybe some parents of T1D kids, is an increase in fear. I am not sure that is productive. (Please see ad is not for the diabetes community above.) I know a young woman who was so scared by dead in bed she disconnected her pump every night. Her parents were at a total loss as to why her night time BGs were so bad. It may not be a surprise folks who "Get It" that her A1C were through the roof. This was before blue candles and 1:20 ads in the paper. Fear is real. Hunter S Thompson wites of "The Fear" in Fear and Loathing in Las Vegas. "The Fear" in my mind is a character in the book. A book I found hysterical. I don't find diabetes fear so amusing. It can lead to actions, as was the case with the young woman who was disconnecting, that are dangerous. Many in the Diabetes On-line Community write about the phycological aspects of diabetes care. Many say the mind game is as difficult as physiological management effort. In that context feeding the fear is a bad thing. Also turning those people (PWDs) to thinking about the statistics and motivating them into discussions about the numbers instead of discussions about doing stuff to move the ball forward on solutions is contrary to the goal of better living with T1D. All that said I have issues with simplifying the underlying papers to 1 in 20. Dr. Cryer writes about T2D as much or more than about T1D in Death during Intensive Glycemic Therapy of Diabetes: Mechanisms and Implications. He cites ACCORD, ADVANCE and VADT studies all of which appear to be T2D studies. In T2D there may be means of managing health other than insulin. In ACCORD the goal was A1C under 6% and the trial was stopped due to harm to T2D patients of that aggressive goal. It also appears that the good Dr. Cryer's article was a response to another in the same journal issue that seemed to say that hypoglycemia was a comorbidity of other causes of death, seemingly downplaying hypos. So maybe he was saying, Hey you idiots hypos are dangerous in and of themselves... well he probably wouldn't say idiots, in fact I don't see that word used anyplace in his article. Maybe Mark Twain or Disraeli who used the "I" word. 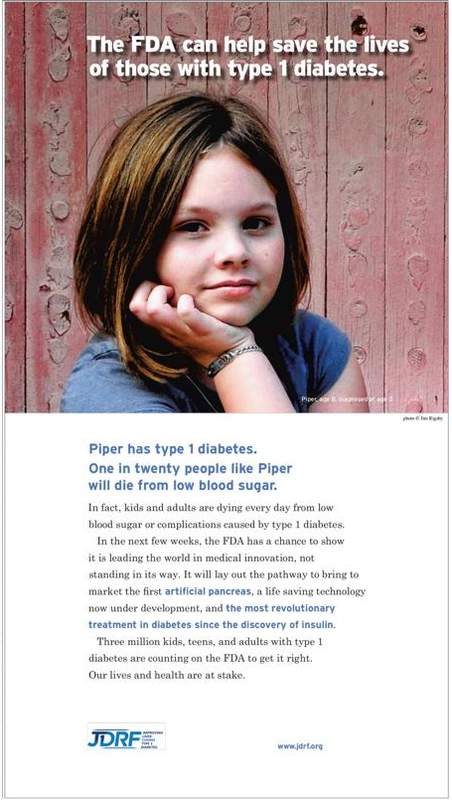 Cryer writes "Older estimates were that 2%-4% of patients with type 1 diabetes die from hypoglycemia. 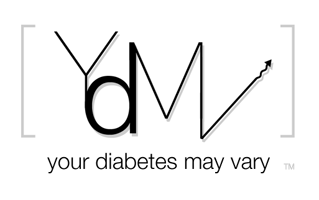 ,  and  More recent estimates are that 6%, 7%, or 10% of those with type 1 diabetes die from hypoglycemia." Notes 19, 20 and 21 are the ones I shared above. 20 and 21 are studies form the UK and Norway, started in 1978 and 1973 respectively. Both are T1D studies. I have concerns that studies starting then will have significant data from pre DCCT, pre Lantus and pre Pump care regimes. Who is on NPH? One can argue that pre DCCT was typically less aggressive care and that means less hypos so these may understate the risk. - Or - One can argue that the lack of stable basal insulin, pumps modern meters ect. made hypos more frequent due more peaky nature of the tools available. I don't know. I suggest there is grounds to wonder if the fruits of the studies is all apples. Maybe there are some oranges involved. We hold these truths to be self evident: the risk of fatal hypos is a lot higher if one takes insulin than if one does not. Even so that is not the only source of stress in a T1D household. 1:20 is not an annual rate but a life time projection. Looking at the reciprocal, when they die, 19 of 20 people with T1D will not die of hypos related issues. That is a lot better than the 100% that died of DKA in pre insulin days. Diabetes care is about balance. That and I hope that in my kids lives they each have 20 non-diabeteic people people in their 'get' fottaly tine. To me that 20 to 1 is more important than 1 in 20. I maybe wrong, I often am. My friend Mike from DiabetesInSpain.com sent this request and I am happy join in and to pass it on. I appreciate their are many things taking place regards to Diabetes this month, but I hope that this project will capture your imagination. On November 11th (11.11.11), across the planet, documentary filmmakers, students, and other inspired citizens will record the human experience over a 24-hour period and contribute their voice to the second annual global day of media creation called One Day on Earth. Together, we will create a shared archive and a film. Imagine being able to capture the world on the same day, each giving their unique perspective on Diabetes around the globe! Anything goes! It just has to have something related to Diabetes. Please share and pass on to friends, family and anyone else you may know. I would like to invite everyone from the DOC both online and offline to take part if possible by taking a Diabetes related image on 11.11.11 and submit them either via a Flickr group, via twitter with the #diabetes111111 hashtag or directly on my website site. 2. Submit Photo via Flickr, Twitter or this website. 3. Enjoy the photos as they appear on this site, twitter and flickr from Friday the 11th November. ScienceDaily (Nov. 1, 2011) — Researchers at the University of Colorado School of Medicine have found a specific molecule that can prevent the development of type 1 diabetes in mice and has a similar effect on human cells from diabetic patients. This is good news. I know some great dads of kids with diabetes at both places. They share the passion for better lives for all kids living with diabetes that maybe unique to parents. Both organizations are substantial investors in researches to create better lives. By comparing notes and goals is more than great way to avoid re-inventing the wheel, it is a powerful way align interests. Thanks to all the dads, moms, people with diabetes, their friends and families that are doing what they can to help innovate type 1 diabetes (T1D) care. Halloween is our (first of two) diaversary. Spell check is having a hard time with the combination of diabetes and anniversary. That is OK spell check I know how you feel. We have felt strange about it too, every year. I have found writing about it helps. We haven'e always the same way about diagnosis anniversaries. It is like our diabetes has varied. At first we were still a little raw and then shortly after that first diaversary we got a second diagnosis and it was as raw as the first. By now we are so far into the "new normal" that it is fairly close to simply normal. 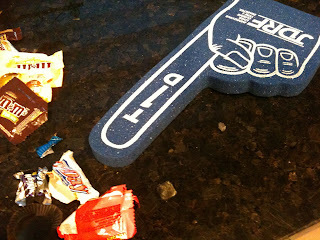 Still Halloween is our day and Halloween brings out different responses in type 1 families. 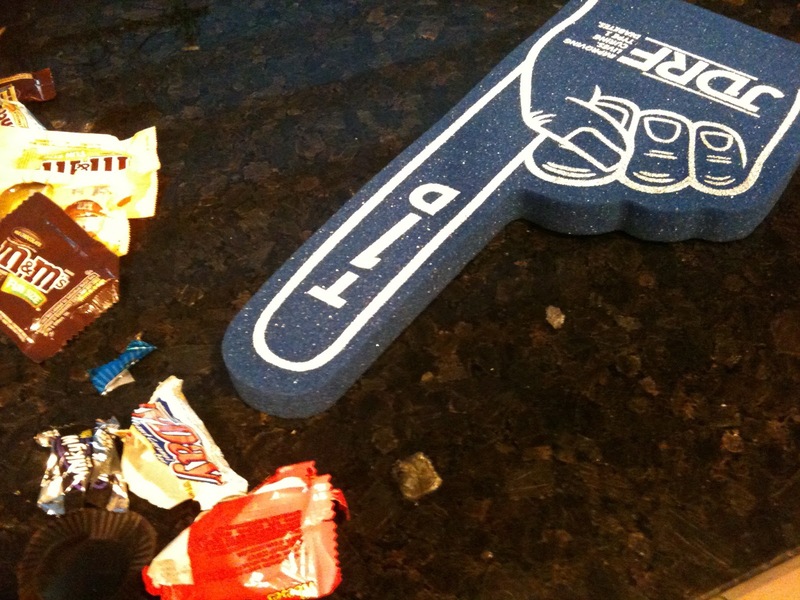 Some don't trick or treat, some fret about it, some buy back candy and then there is us. We eat the stuff. On nurses orders. So anyway in honor of Connor getting sprung from CHOP our three words are, "Bolus for Candy."